Our Mission is to offer students of all levels and professions a deep understanding of classical form, design, practice and discipline in an instructive and friendly environment. JHess Studios focuses on the importance of drawing from life as a means to skill in painting or sculpture. The curriculum is designed to bridge the gap between the full time academy program and weekly workshops. With particular dedication to craftsmanship and the skillful use of materials and techniques, drawing and painting students utilize the Sight-Size Method while sculpting students use a Four Plane Method of Observation. 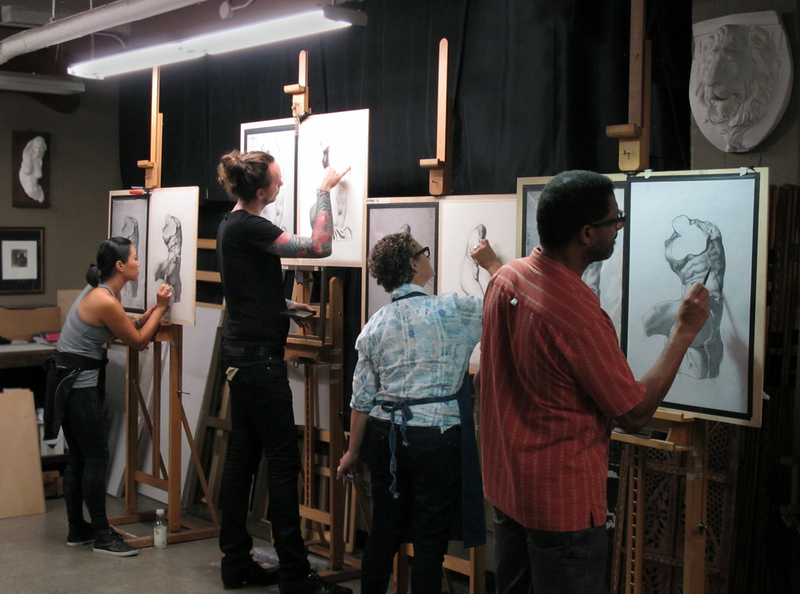 As one of the few ateliers offering both painting and sculpting classes on an on-going basis, we are committed to offering the highest level of instruction in classical methods with a solid foundation in drawing, painting and sculpture in the San Francisco Bay Area.